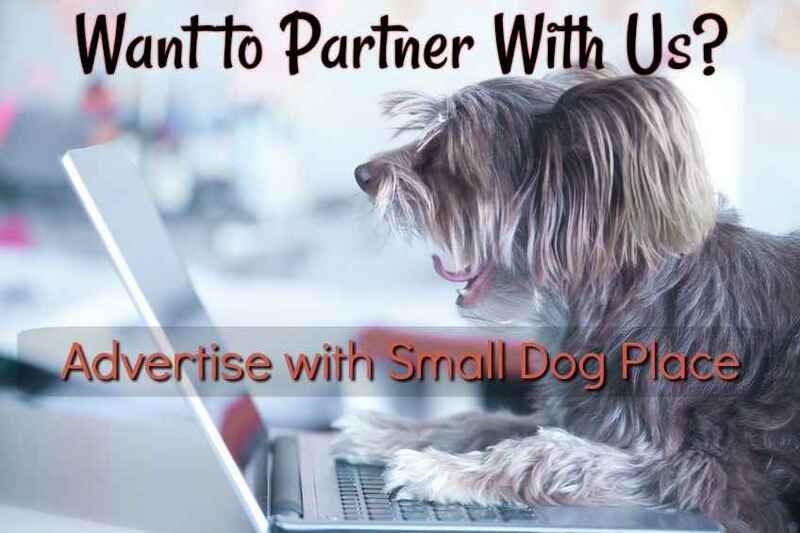 Small Dog Place is accepting advertising from high-quality businesses in the pet industry - if you dog-related products and would like to see them featured on this site, please let me know. We only accept a few sponsors with high-quality products whose company offers excellent customer service. Since the purpose of this website is to provide excellent information and resources to small dog lovers, I will only promote that which I feel would be of benefit to my site visitors. This is a family-friendly website will not accept anything that strays from that concept. Does this sound like something you would be interested in? If so, then let’s collaborate and create a win-win situation for both of us. You win because your products are featured on a high traffic website with plenty of targeted customers. I win because I can offer visitors access to new, innovative and highly sought after items for their small dog. Want to know a bit about Small Dog Place? We've been on the web since 2013 providing information to visitors interested in getting a dog or already have one and need some advice. Please download our Media Kit to learn more about this website. There are several ways you can get your products in front of interested visitors. I will write an unbiased review of your product in a separate article with a link to your site. You will need to send me the product in exchange for the review. If the link points to your sales page, it will be a no-follow the link. The article will be marked as Sponsored and products are not returned. I will write a 1000 to 2000 word article with links to your website. Any links pointing to sales pages will be no follow. The article will be well researched and optimized to help it get found by all the major search engines. I will also promote it on my social media channels. $50 per article with links that are good for 6 months. Links can be renewed for an additional 6-month interval at a rate of $25 for 6 months. I do reserve the right to approve or deny any article or link requests. Most of the times when requests are denied are due to the poor quality of the requestor's own blog. Websites that want a link from Small Dog Place must be of at least equal or higher quality than Small Dog Place. Many blogs are written by authors whose first language is not English. Unless their blog has been edited by a native speaking English writer, the link or article may be rejected. I hope this does not seem harsh. It is just a way to keep both your website and mine on the steady ground and to grow. Ads are placed in our right-hand column and can be placed on one or more pages or as a site-wide advertisement. One ad, placed on each page of the website. Currently, there are 450 pages. $400.00 for 6-months linking to your product page. You choose the page where you'd like your ad to appear. I can provide you with my most visited pages. $150 for 6 months with links to your product page. For two or more pages, the rate is $125 for 6 months. Billed every 6 months, but you are free to cancel after the six month period. These are estimates only and will depend on the size of your banner ad. All ads placed in our right-hand column must be no wider than 230 px as that is the size of the column. Just ask. We'll be glad to accommodate any reasonable offers. Use the form below to contact Small Dog Place. Please provide as much detail as you can. Thanks, I look forward to hearing from you.